The pulp magazines are perhaps best remembered for their lurid and exploitative stories, and for their similarly sensational cover art. 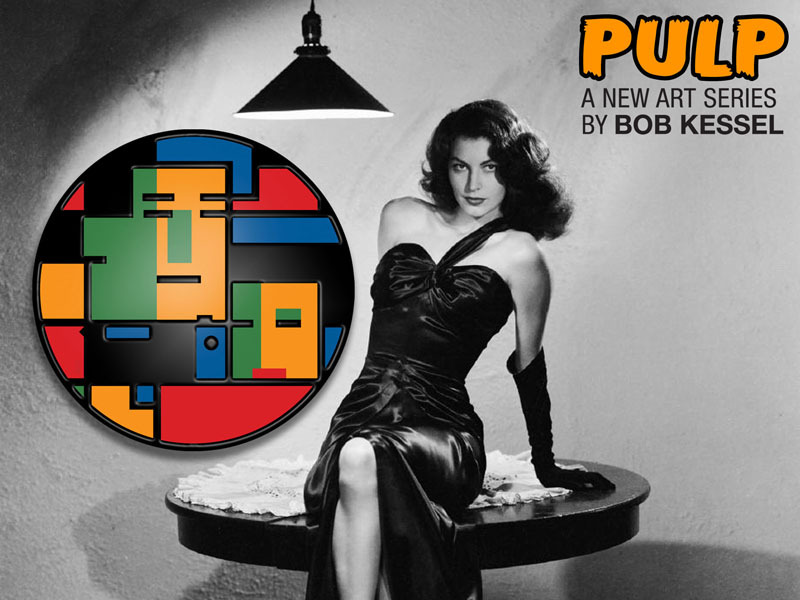 Fertile ground for Bob Kessel’s new art series, PULP. 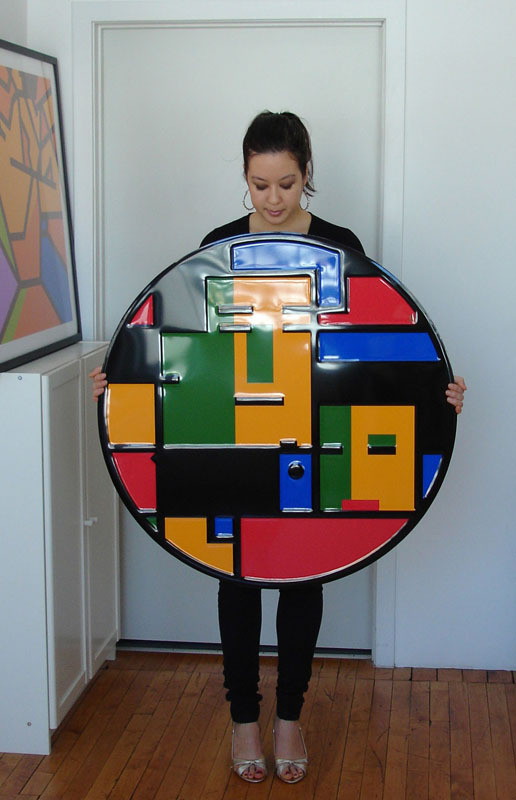 Images by Bob Kessel are awash in neon lights that reflect the rain soaked asphalt on men with hats, chain smoking cigarettes, on bottles of scotch and dames that can do you no good. 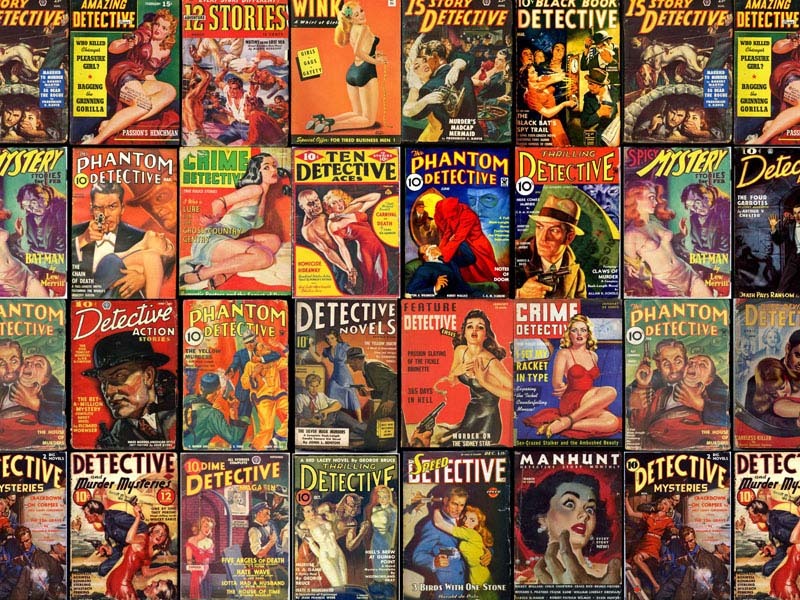 All in the garish color palate used in the original pulp magazine covers. 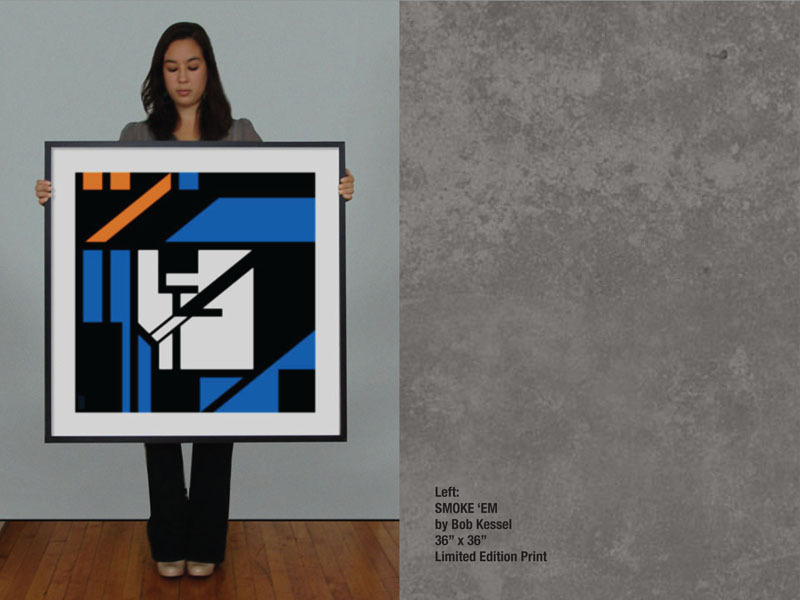 Kay Kessel holding “SPEED DETECTIVE” embossed print. 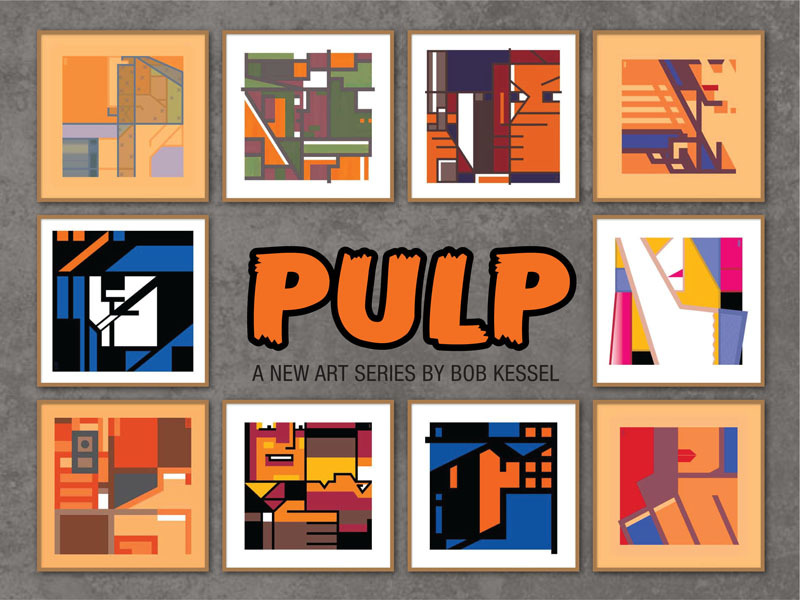 Bob Kessel has created a new art series titled, “PULP”. The pictures are available as limited edition fine art prints, signed and numbered by the artist. 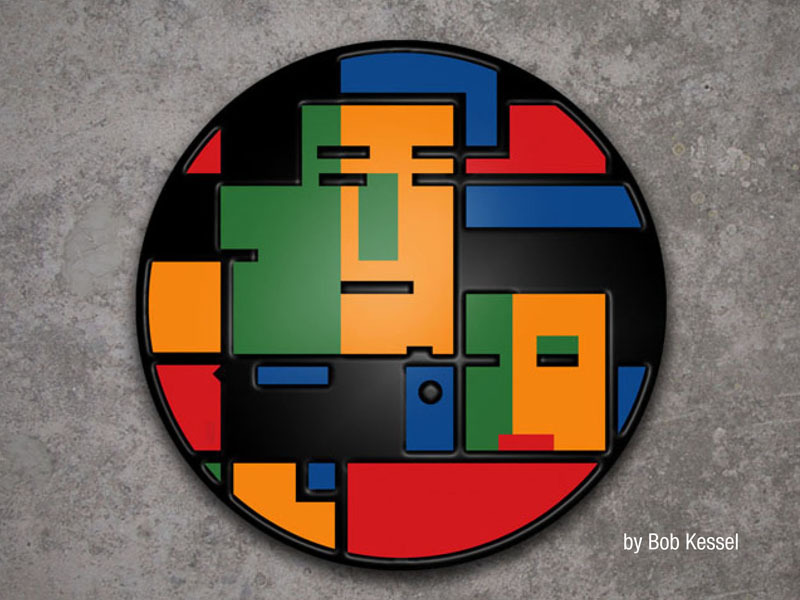 Contact Bob Kessel for prices and availability.